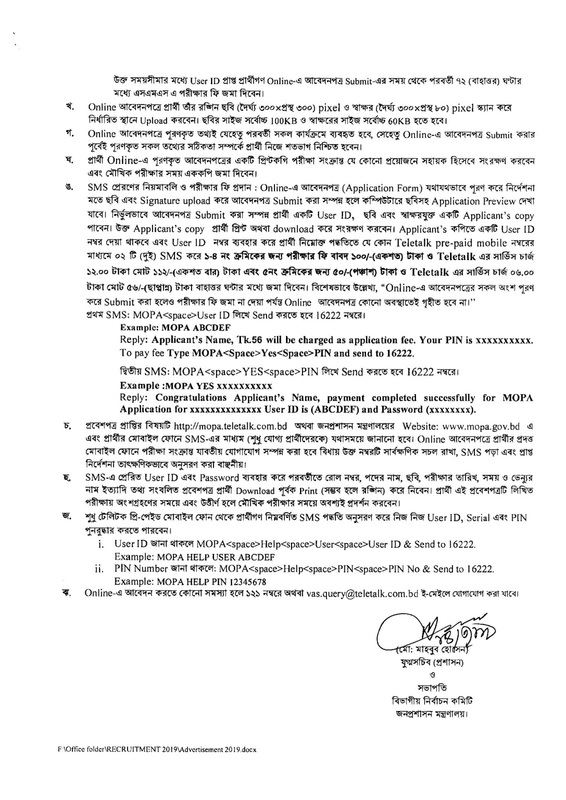 Ministry of Public Administration has published a new Job circular 2019 where the Applicant can apply Online easily. Most of the people are looking for the Government Job Circular 2019 where they can Apply Online. So, it is one of the best Govt. 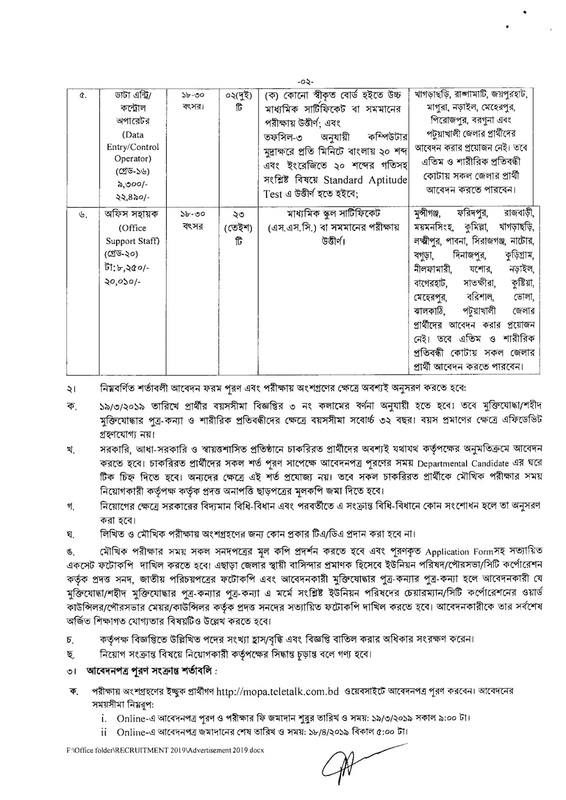 Job Circular in Bangladesh. 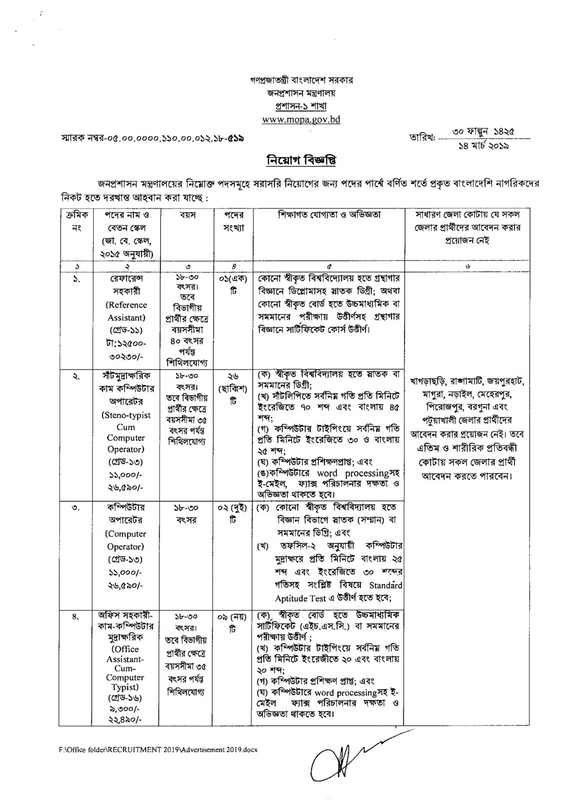 Total 63 Job vacancies are available under the MOPA Job Circular 2019. The Eligible Candidates can Apply Online from Teletalk MOPA Server within 18 April 2019. It is the last Date for this Job Application. There are 6 Job Posts are available where different Education Qualification, Requirements and conditions. So, you need to know the Details information on this Job Circular. In the below, you will get details about the Ministry of Public Administration MOPA Job Circular Details in Bengali PDF File. This file has published by the Authority to Online Job Portal and Print Media. In this section, we have added the Official Job Circular of MOPA where the Candidates will get their necessary information about the Job Circular, Post Name, Salary info, and Application Process. Let’s follow the Instruction and complete all task. There are some latest Government Job Circular 2019 is available on this Website. Ministry of Public Administration Contact Address, Job Center, Contact Number and other Information’s are available on this post. So, you can get these and contact directly to the Ministry of Public Administration MoPA for any inconvenience.